SKU: N/A. Category: Oz Pet. 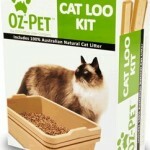 Tags: Cat And Pet Litter, Oz Pet. Garden Friendly – Oz-Pet litter is recycled and manufactured from waste plantation timber that would otherwise be destined for land fill or burned. Safe – No added chemicals and will not clump. Recyclable – After Oz-Pet Animal Litter is used it can be composted or used as mulch.